After two years of planning, filming and editing, a short documentary called “Kalamaʻs Journey” is now ready for your viewing pleasure. Check it out! Kalama is a Laysan albatross chick who is adopted by a female nesting pair. (Female pairs are not uncommon among Mōlī.) The parents are provided with a fertile egg relocated from an unsafe nesting area near a Navy runway on the west side of Kauaʻi. She becomes a star of the Cornell Lab of Ornithology “TrossCam,” and charms viewers from across the globe. With her powerful sense of place and her extraordinary navigational inheritance, Kalama is a quintessential Hawaiian. She, like all Mōlī, is considered sacred to the culture. When she flies for the first time, Kalama carries on her shoulders our own fervent hopes for her return. And, of course, for the survival of her species, which is soon to be challenged by the greatest risk Kalama’s clan has ever known. “Kalamaʻs Journey” is created to be shared. 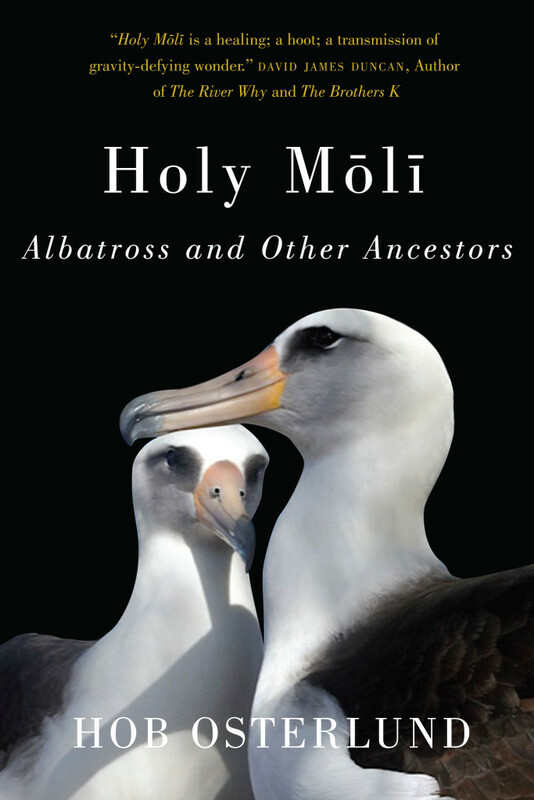 Please feel free to view anywhere—in classrooms, libraries, conferences, celebrations, fundraisers, churches, government offices, waiting rooms—–basically any place that serves the albatross and their Hawaiian home. Contact us to inquire about a booking. With many mahalos to Carl Safina for selecting Hob Osterlund as a Fellow of the Safina Center. The Kaua‘i Albatross Network is dedicated to helping preserve the vitality of the Laysan albatross and promoting safe habitat on which this magnificent bird depends.